Rare JDM Impreza STI GC8 Version 6 suspension set with JDM STI pink lowering springs, fit all 93-01 Imprezas models. JDM Impreza STI GC8 Version 6 suspension set, fit all 93-01 Imprezas models. JDM BE/BH B4 00-04 Legacy bilstien suspensions, fits 00-04 Legacy models. Tein Flex full adjustable coilovers for 02-07 Impreza, WRX and 04 STI. 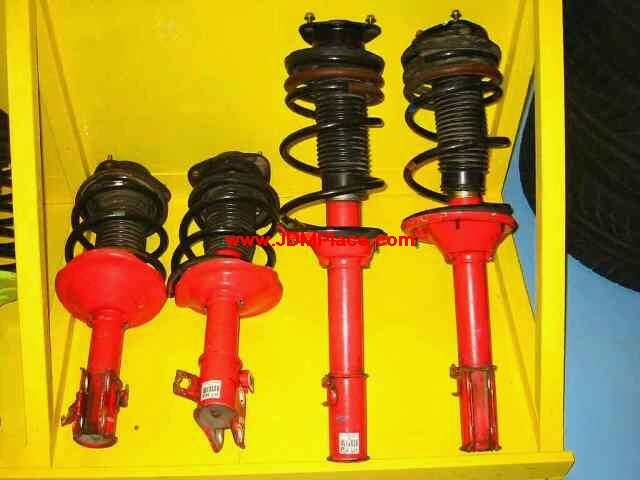 Rare JDM Impreza STI GC8 Version 6 suspension set, fit all 93-01 Imprezas models.